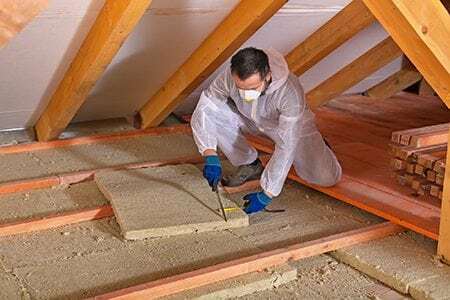 Attic insulation is highly efficient way to keep energy costs low in your home and protect treasured items that are stored away in your space. Installing attic insulation isn’t an easy task to navigate, but with the team at Four Seasons Roofing, you can have an upgraded attic that works for you on many levels in no time! Installing professional insulation in your attic will keep attic temperatures consistent and more manageable in extreme weather conditions. This is a benefit in several ways: comfort, energy savings, preventing mold and wood rot, and preservation of your roof overall. Proper attic insulation keeps heat from escaping out of your attic and roof (since heat rises, one way or another). This properly insulated attic helps you save money on energy bills, and also preserves your roof life, since extreme temperature swings will degrade your shingles and underlayment. A regulated temperature in the attic and roof area also prevents mold from forming since it drastically prevents frost buildup (and melting), as well as keeps our hot and humid summers from allowing an environment where mold could grow. At Four Seasons Roofing, we're experienced from start to finish in the insulation installation process with thorough knowledge of interior structures and which insulation will fit the demands of your space and current usage. We know the types of insulation Maryland residents need to protect their homes for the long term. And, we’re an Owens-Corning certified installation contractor, so we’re trained and recommended by the best insulation maker on the market today. Homeowners have two main options when choosing attic insulation: recycled and blanket. Recycled insulation is easy to spot because it's green and very simple to work with. 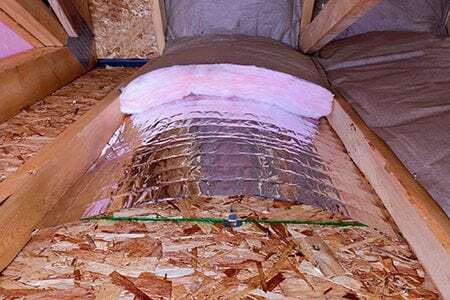 Blanket insulation (the pink kind you roll out that probably comes to mind when you think insulation) requires protective gear and is more widely used. We offer many Maryland insulation installation services for homeowners without sacrificing quality or efficiency. When you choose Four Seasons as your insulation installers, you’ll receive top notch professional service at an accessible price, making for a great experience and less stress in keeping your energy bills in check, keeping your home comfortable, and preserving your roof for the long haul. We always aim to meet your individual needs and save you money -- now and in the years to come! Save time and money by calling Four Seasons Roofing for a free at home consultation so you can begin the process of choosing the attic insulation you need. Trust us, your home will thank you!